It is one of those nights when excruciating pain in the leg wakes you up from sound sleep. Aptly, referred to as night leg cramps, the pain lasts few seconds or up to a few minutes. There aren't any set patterns or recognizable stimulants, which make its occurrence predictable so that precautionary measures can be taken to avoid those tough moments. You can however find out contributing factors, what causes leg cramps at night and take appropriate remedial measures. Very simple changes in diet, specific exercising, avoiding certain postures, increasing intake of water and/or medications help combat severe leg cramps and stop the occurrence of the pain forever. In extreme cases, doctor's intervention may be necessary. Read more. Also referred to as nocturnal leg cramps, muscle cramps and charley horse, night leg cramps are contractions of the leg muscles. The result, it feels as if the muscles are locked and the affected individual cannot move the leg. The location could be the calf, the foot and the thigh region. It could be a single or a group of muscles. The contractions come on suddenly and result in intense pain, which may last for few seconds and some cases few minutes. The contractions are involuntary in nature. As such, there is no specific age group or gender specification. Anyone can get cramps in the leg. Some experience leg cramps in childhood, some as they age. Both men and women are equally affected. However, research indicates that middle-aged and the elderly are more affected by leg cramps. Even pregnant women are likely to experience leg cramps as a result of poor blood circulation in the limbs. The exact cause of night leg cramps has not been established. The sufferers are otherwise healthy and have no underlying medical condition. According to some experts, there isn't any apparent reason and leg cramps at night are harmless and should not be considered a medical disorder. A small percentage has been diagnosed with symptoms of an underlying medical disorder. There are instances when causes are linked to intake of medications for high blood pressure, oral contraceptives and diuretics. Alcoholism, for some increases the risk. Flat feet: Individuals with flat feet have a gap under the inner arch of the foot. It results in cramping/pain and also affects the mechanics of the rest of the body. In most cases, no special treatment is necessary. Wearing special shoes, doing stretching exercises, using under-arch pads inside shoes can help. Deficiencies: Deficiency or even imbalance of certain minerals such as potassium, calcium, sodium and magnesium, may cause leg cramps. There are factors that lead to deficiency or imbalance of electrolytes. Dehydration can lead to electrolyte imbalance. Good exercising results in loss of fluid and minerals through perspiration leading to dehydration. Diuretic medications and hypertension medications deplete the level of potassium and calcium in blood. It can cause dehydration and electrolyte imbalance if are not compensated. Electrolytes are ingested through foods and fluids and are eliminated primarily by the kidneys. It is the job of kidneys to control electrolyte balance. Kidney failure is the most common cause of electrolyte imbalance. Vomiting, diarrhea, blood loss, and infections also can result in deficiency of electrolyte. Stay hydrated. Drink plenty of fluids, water as well as fruit juices throughout the day. There are supplements available in either powder or capsule forms and through beverages such as sports drinks. Exertion of muscles: Over exercising, standing for a long time, sitting in an improper posture may lead to exertion of muscles and sometimes cause leg cramping. If the cause is standing for a long time, soak legs in warm water for 10 minutes. Add essential oils like eucalyptus or rosemary oil for a soothing effect. If it is due to over exercising, relax and massage muscles. Between inhales and exhales, stretch to condition muscles. Take ample rest. Take a hot water bath. Lack of physical activity: Sedentary lifestyle, inadequate physical activity, sitting or squatting in a same position for too long may contribute to severe leg cramps either directly or indirectly. What happens is that the leg muscles and those in the calves and feet do not function, as it should, normally. It results in stiffening of muscles too. In pregnant women: Night leg cramps are more prevalent among pregnant women, especially in the later stages. 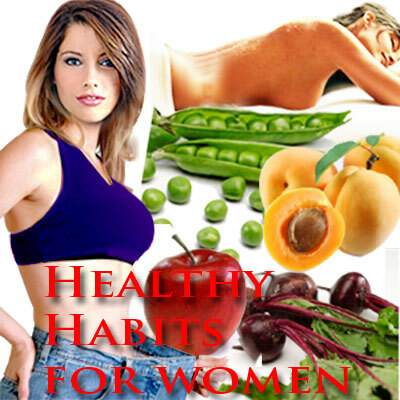 Some experts attribute it to gaining additional weight and even the bulging belly pressuring the uterus. Some attribute it to excess of phosphorus or a shortage of calcium or potassium or poor blood circulation. Eat a balanced diet. Check with gynecologist and do recommended exercises. Avoid standing for long hours and crossing legs. There aren't any cures for leg cramps but many easy ways to prevent and reduce. Here are easy ways to avoid leg cramps. Some are preemptive in nature. There are also alternative ways to tackle leg muscle pain and find immediate relief. Practice a healthy lifestyle. Limit intake of alcohol, nicotine and caffeine, particularly before bedtime. Include fresh green vegetables in daily diet. Raw vegetables have tremendous amounts of minerals that feed the muscles. Tomatoes, potatoes, bananas, broccoli, citrus fruits, and cantaloupe are effective in preventing the frequency of leg cramps. These foods are rich in calcium, magnesium, and potassium. Drink a glass of warm milk before bedtime. It helps to prevent night leg cramps. Take about two teaspoons of honey on a daily basis. Get relief from leg muscle pain by taking a teaspoon or two of yellow mustard. Working some stretches just before bedtime is effective. Press the toes against a wall to stretch the calf muscles. With persistent and frequent leg cramps at night so much that it affects normal functioning during the day, it is time seek medical attention without further delay. For, legs cramps cause may be a symptom of ailments such as diabetes, anemia, hypocalcaemia, hypokalemia, and thyroid or kidney disease. Questions aimed at understanding the symptoms, the frequency, the severity of pain etc, diet, exercise, overall health condition, medications being taken, will be asked. Examination of legs and feet will also be done. A step further, some blood may be analyzed to ensure that levels of potassium and other electrolytes are normal. The health care provider may then decide the best way to treat severe leg cramps. First Published Date: 26 Apr 2011 Last modified Date: April 18 2019 This page may have been updated recently as new information is available or the content may have been edited for better readability.